Cool S a.k.a Shigo Ologo is out with another street banger titled Eko na Lagos. Eko na Lagos is the Most-Trending Music in Naija Now. 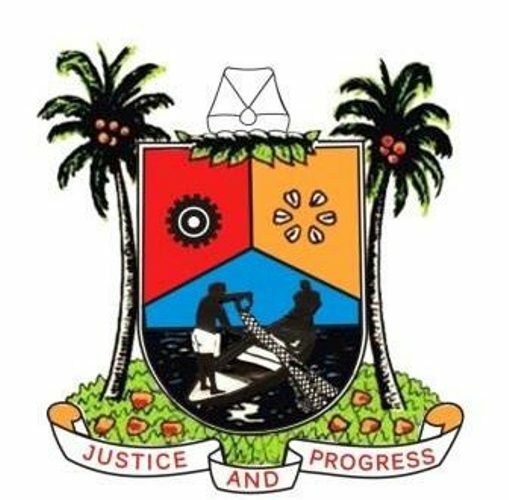 This song is dedicated to all Lagosians and those who all make Lagos the best and beautiful place to live in. More progress for us. More progress in all our communities. Ilosiwaju eko lawa fe. We Love Lagos. You can reach Cool S on 07032573710. Eko na Lagos is Produced by Jahlead. After the successful hit banger in 2015 titled Duro, Eface is back again with another hit, this time, with a different style and flows. 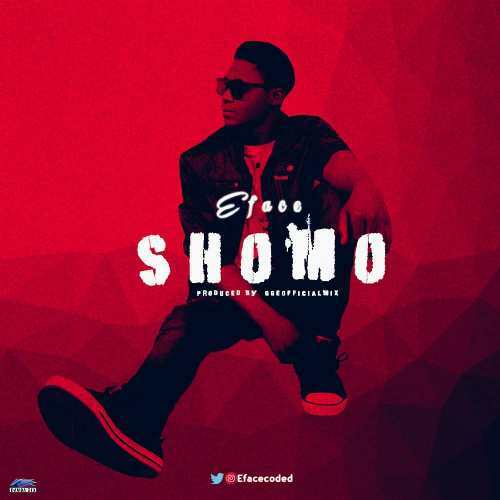 Shomo is a love dance track that will make you move and shaku shaku on it. Watch Alexis Sanchez First Day at Manchester United, as he meets teammates coach staffs team doctors and many more. watch and share below. This comedy video is So Hilarious!!! When you go pick up the wrong tooth brush, and then this happened. One Of The biggest challenge any Entrepreneur or Businessman/woman would face is how to raise Capital To start up a business. It doesn’t matter how profitable you think the proposed business is, doesn’t matter how little the money you needed to start is – once you’re not able to raise money to start the business, the business can never be started. Raising money for a business is the biggest achievement any aspiring Entrepreneur or Businessman/woman could make. Because with my little research, I think there is no genuine business without Capital. I’ve seen a lot of cases where business ideas die due to inability to raise up Capital to make it come to reality. But today, I am going to give you some useful tips on how to raise Capital for a small business in any part of the world. The best person to give you money is yourself… If you plan to start a business soon, start saving for it now. Open a savings account in any bank and start saving bit by bit, spread your savings over the period of time you intend to kick-start your business and make it a target to save a certain amount periodically. To be able to achieve this, you’ll need to be resolute and disciplined. Cash demanding Problems may come along the way, look for other means to solve them — ask yourself ‘what if there are no savings what would you have done? Go with whatever answer you get and use it to solve the problems instead of using the saved fund. With this, you will be able to raise money for business through personal savings. Social media has more than proven itself as a reliable tool to promote any business. Today, many fashion boutiques sell their items through Instagram, some through Facebook, and others through both. Depending on what you’re offering, there’s always a social media platform with your target audience. If you have 1000 followers on Twitter, start with that. By promoting to a closely targeted market through your social media account, you would be spending far lesser cash to promote it than you would have. Remember: Social media and word of mouth advertisement can be highly effective and free! The type we normally refer to as “Daily Contribution” It can be daily, weekly or monthly contribution — look for a group of people with common interest and start the contribution with them. This is similar to personal savings, the only thing different is that others are involved. Each time you contribute, someone among you take it — do it until it reaches your turn. When you get yours, quickly put it into the business before other expenses carry it off. Everyone in your co-operative must be people you trust to an extent if not someone might attempt to disappear after collecting his without fulfilling the same obligation to others. It is a bit risky but sure way to raise money for business in Nigeria, especially if you are fortunate to be the number one or two in the collecting order. Open Account with any micro finance bank or co-operative bank of your choice and start saving a certain amount regularly. Once you’ve saved up to six months, you’ll qualify for a loan of twice your saved amount. One thing I don’t like about micro finance is the fact that you’d have to wait for six months to qualify for a loan and having to pay interest in the loan even though your money have stayed with them for six months with no interest accruing to you. However, that is the price you’ll have to pay to raise money for your business and many people are finding success using it. So why not give it a trial. Look for any micro finance of your choice and start saving towards raising money for your business. Most of the major banks have their own version of micro finance — you may go with this one for they’re more reliable. If you are not a control freak, if you are ready to give up some percentage of your company’s equity then go for Angel Investors. Angel Investors are business startup incubators and they are not in any particular place — your rich uncle could as well be your Angel Investor. Prepare a bankable business proposal — clearly, state your business plan and objectives. If the Angel finds your proposal appealing, they will invest in it. But, prepare to give up a good part of your company up to 40% in exchange for the needed capital. With little to no real startup capital, you cannot afford to have expenses eating into the little revenues you’re generating. Check every way cash might leave your business and try to completely block it out. The more loopholes you cover, the greater your chances of staying afloat till you acquire considerable investment. These are not just the closest people in your life but are the major individuals that can give you some money with only a simple motivational speech. Family and friends usually don’t require that you show them a business plan because their loan or investment in your startup is motivated by their belief in you and not the idea or skills you possess. Talk to the closest people in your life. If you understand what makes them tick, push those buttons and you may gain some financial support from their pockets. 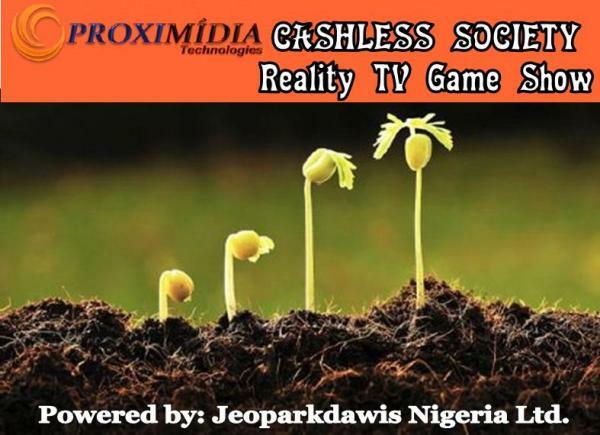 Proximidia Technologies in partnership with Jeoparkdawis Nigeria Ltd. presents The Cashless Society Reality TV Game Show. The socio-economic emancipatory show will be empowering Nigerian youths with necessary financial help to actualize their entrepreneurial dreams. The game show is also structured to benefit all youths (whether formally educated or not) in Nigeria. The Cashless society Reality Game Show in its first season will empower 1000 (one thousand) Nigerian youths with Nine Million Naira (N9,000,000) each to develop their entrepreneurial skills and ventures. It will also provide them with the opportunity to exploit their entrepreneurship skills as it concerns the various sectors of the Nigerian economy. The Cashless Society Reality TV Game Show is an edge to the Nigerian economy which will help unemployed youths to develop their entrepreneurial skills with respect to their interest areas in the various sectors of the nation’s economy. This will engage the dormant human capital resources of the country which in turn will increase her Gross Domestic Product (GDP) through their entrepreneurial activities. Applications are invited from eligible Nigerians to apply for the Cashless society Reality TV Game Show. Who is Eligible For Cashless Society Reality TV Game Show? All Nigerian youths from 18 years to 35 years. Legal residents from all 36 states in the country. All applications must be submitted online through the Official Cashless Society E-mail address at [email protected] . Having known about the cashless society reality TV game show, and understood its nature and vision, which is to the best of my interest, I ............................, apply to be a participant in this entrepreneurial based TV game show. I believe in the competence of Jeoparkdawis Nigeria Ltd to co-ordinate the cashless society reality TV game show and I promise to put in my best towards the success of the game show if am selected. The Cashless Society Reality TV Game Show. REPLACE Eke Femi Yusuf with Your Full Name and 08030XXXXX with your phone number. Selected applicants will be communicated after screening exercise. Here is a brief Review of a Great Website - TheInfo247.com Informative Website. TheInfo247 Informative Blog Keeps You Informed about Latest Jobs, Vacancies, Recruitment, Scholarships, Career, Money Making, Investments, Health, Insurance and Lots More. A quick tour and visit to the website https://www.TheInfo247.com , will convince you of the great services the website offers and the Quality of Information contained in the Website. If you are among those who have enrolled for the NIMC National Identity Card and currently do not have an idea on how to go about to confirm if your National Identity Card is ready for collection, this post is for you. There is now an online platform where you can check the status of your identity card whether it is ready or not. The National Identity Management Commission (NIMC) has now made it possible for Nigerians who have registered for their National ID Card to check their status online. Now, fill in your first name, last name and your National Identification Number and hit the ‘Check Now Button’. Click HERE to check if your NIMC ID Card is out. Below are the necessary information you need to know about the vacant Job positions currently in Canada. Don’t Miss this opportunity. If you Have Knowledge About This Filed You Can Apply using the link below. A Nigerian Lady is currently on fire on social media after she tweeted that she won’t allow any guy propose to her with a N20,000 ring. She also revealed what she’d do, if her “boyfriend” proposes to her with a cheap ring – Fling the ring at his face. The post has been met with mixed reactions on social media. Former President Olusegun Obasanjo on Tuesday, in an excoriating 13-page statement, has called on President Muhammadu Buhari not to seek re-election in 2019. Mr. Obasanjo, in a special press statement entitled, “The Way Out: A Clarion Call for Coalition for Nigeria Movement” said Mr Buhari has performed far below expectation and should honourably “dismount from the horse” to join the league of the country’s former leaders whose “experience, influence, wisdom and outreach can be deployed on the side line for the good of the country. Since we are still in the month of January, it is appropriate to wish all Nigerians Happy 2018. I am constrained to issue this special statement at this time considering the situation of the country. Some of you may be asking, “What has brought about this special occasion of Obasanjo issuing a Special Statement?” You will be right to ask such a question. But there is a Yoruba saying that ‘when lice abound in your clothes, your fingernails will never be dried of blood’. When I was in the village, to make sure that lice die, you put them between two fingernails and press hard to ensure they die and they always leave blood stains on the fingernails. To ensure you do not have blood on your fingernails, you have to ensure that lice are not harboured anywhere within your vicinity. But there are three other areas where President Buhari has come out more glaringly than most of us thought we knew about him. One is nepotic deployment bordering on clannishness and inability to bring discipline to bear on errant members of his nepotic court. This has grave consequences on performance of his government to the detriment of the nation. It would appear that national interest was being sacrificed on the altar of nepotic interest. What does one make of a case like that of Maina: collusion, condonation, ineptitude, incompetence, dereliction of responsibility or kinship and friendship on the part of those who should have taken visible and deterrent disciplinary action? How many similar cases are buried, ignored or covered up and not yet in the glare of the media and the public? The second is his poor understanding of the dynamics of internal politics. This has led to wittingly or unwittingly making the nation more divided and inequality has widened and become more pronounced. It also has effect on general national security. The third is passing the buck. For instance, blaming the Governor of the Central Bank for devaluation of the naira by 70% or so and blaming past governments for it, is to say the least, not accepting one’s own responsibility. Let nobody deceive us, economy feeds on politics and because our politics is depressing, our economy is even more depressing today. If things were good, President Buhari would not need to come in. He was voted to fix things that were bad and not engage in the blame game. Our Constitution is very clear, one of the cardinal responsibilities of the President is the management of the economy of which the value of the naira forms an integral part. Kinship and friendship that place responsibility for governance in the hands of the unelected can only be deleterious to good government and to the nation. I, therefore, will gladly join such a Movement when one is established as Coalition for Nigeria, CN, taking Nigeria to the height God has created it to be. From now on, the Nigeria eagle must continue to soar and fly high. CN, as a Movement, will be new, green, transparent and must remain clean and always active, selflessly so. Members must be ready to make sacrifice for the nation and pay the price of being pioneers and good Nigerians for our country to play the God-assigned role for itself, for its neighbours, for its sub-region of West Africa, for its continent and for humanity in general. For me, the strength and sustainable success of CN will derive largely from the strong commitment of a population that is constantly mobilized to the rallying platform of the fact that going forward together is our best option for building a nation that will occupy its deserved place in the global community. May God continue to lead, guide and protect us. Amen. Payoneer is an online financial services business that provides online money transfer from any company in the world right to your local bank account and they also engage in e-commerce service payments. You get a free US Bank account with routing number and all. Using Payoneer bank device, you can withdraw your funds from anywhere in the world through supported ATM machine. Payoneer is the best choice to withdraw money from PayPal in unsupported countries like Pakistan, Egypt, Jersey, Korea North, Lebanon, and Iran, including Nigeria which PayPal full features are not yet enabled. Many people also use Payoneer to verify PayPal account with their US payment service. Payoneer account can be used to receive payments from affiliates and merchants online. It's a convenient way to get paid online. A physical device is sent to your home address for free; you can use it to purchase at online stores, offline stores and to withdraw at local ATM machine in your own currency. Getting a free US account In Nigeria is quite easy. All you need is to Sign Up for a Payoneer account and once it is approved, your Payoneer device will be shipped to your doorstep. » Log on to www.payoneer.com and Sign Up for a free account. » Fill in your full name, address and others, as it is in your means of Identification you want to use for verification. » Set password, Secret Question and Answer and select your ID type e.g drivers license and provide the details of the ID as required. » Enter alternate shipping address if different from the address you provided earlier. Note that, it is the address your Payoneer US Banking device will be shipped to in Nigeria. » When you are done, click ORDER Button. Then, you need to exercise patient for the approval. Once approved, you will receive notification via email with the information of your Banking device arrival estimated time. Thereafter, your Payoneer device will be shipped to the shipping address you provided during the application process. Delivery of the Payoneer device to your Nigerian address might take few weeks or months. If the estimated time has passed and your Banking device was not brought to your home address, I suggest that you check the nearest Post Office branch in your locality, give them your name and the shipping address you used to search it for you. Once you receive the device, you will have to Sign in to the Payoneer website to activate your Payoneer device. Once activated, you can start using it to withdraw your fund at local ATM machine in your own currency or to purchase at online/offline stores. If you need a safe, reliable and widely accepted means of payments and carrying out your transactions, then Payoneer US account is what I will recommend. If you have any question please free free to ask in the comment box. Sign Up for Payoneer today. 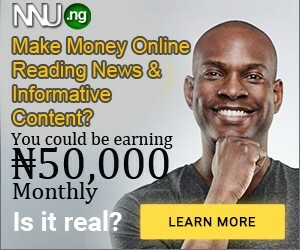 Stay glued to Naijalads.com.ng for more updates on how make money online with Payoneer partners websites. The reaction of Nigerians to the latest musical offering by Olamide titled, Science Students, has come in different forms ranging from criticisms to praises to dances videos, covers, caricatures and many more. One of the most hilarious reactions evoked by the release of the already viral song is a video showing funny dance routines as the song is rendered in English. The amazing video is credited to @oluwadolarz. It is all shades of funny, hilarious and a perfect comic relief material. Popular Nigerian actor, Alex Ekubo took to his IG account to welcome and announce his new baby girl today. Yaaaaay Our daughter has Come.. Congrats @yomicasual & @fabjewels_official, pls join me as we welcome KAHLEY MAKUN to the World, you would be a blessing to this Generation. As a result of the newly release cex dolls, different comedies were released , here laughpill comedy killed it with this funny skit.